Prologue. Set at the Western Wall on Tisha b’Av, second half of the seventeenth century. As old men read Lamentations and mourn the destruction of the Second Temple in 70 CE, Sabbatai preaches to his disciples about the coming Messianic Era and the prominent role he will play in it. After they leave, the old men discuss Sabbatai and continue their lamentations as night falls. Act I. Royal Tombs in Jerusalem at dusk. Sabbatai’s ex-wives, Leye and Rokhl, sit at the entrance of a cavern. Sabbatai sings within the cavern, imploring his true bride, the Torah. Leye and Rokhl bemoan how Sabbatai refused to sleep with them when they were married and ultimately divorced them, despite their beauty and pedigree. They console each other for not being worthy of such a holy man (whom they still follow everywhere). Nehemiah Cohen, a prophet, comes to Sabbatai and tells him it is time to stop hiding in a hole. Nehemiah Cohen anoints Sabbatai Messiah. Sabbatai and his followers are overjoyed. Sabbatai dictates letters announcing his status and has his followers distribute them. Leye and Rokhl prostrate themselves before Sabbatai; although he does not initially recognize them, he decides they are worthy to be servants to his future, better wife. A graveyard in a small Polish town, where Jews are hiding from Chmielnicki’s Cossacks. When they realize they are safe, they discuss the destruction of the massacres and how it is the fault of their sins. One young man questions where God is in all this suffering. Kabbalists predict the coming of the messiah. Nehemiah Cohen appears. He tells the curious onlookers that redemption is at hand. Suddenly Sore’s voice can be heard from the tombstones; she declares that she is destined to be the bride of the Messiah. Nehemiah Cohen disappears, and she tells the horrified assembly how she survived the massacres in a monastery. As she speaks of the Messiah and how she is to be his bride, the young man and other onlookers decide she is a prophet. Act II. Cairo. Sabbatai is celebrating his wedding with the Torah, the daughter of God. Suddenly there is an uproar as Sore arrives with her many followers, eager for her own wedding to Sabbatai. She tells him she is destined for him as his opposite, “you are commandment, I am sin.” Sabbatai insists that the Torah is his bride, and that he has given up carnal desires in favor of holiness. He tries to placate the crowds, offering them purification in the form of the Torah, but the people remain loyal to Sore. Sabbatai decides to marry Sore (the daughter of earth) and to find redemption through sin. Sabbatai and Sore with their followers at Gallipolli, in the fortress Migdal-Oz. Kabbalists dance around Sore. With Sore and the prophets’ encouragement, Sabbatai declares himself higher than earthly kings and proceeds to divide the Ottoman Empire between his followers. Soon after he expresses doubts about the correctness of his actions. Sore tries to console him with sensual promises from the Song of Songs. He is disconsolate about giving up his divine bride the Torah. Nehemiah Cohen appears and tells Sabbatai that he has been deprived of divine strength. Act III. Field around Migdal-Oz. It is Rosh Hashanah. Jewish supporters of Sabbatai from many different countries are assembled. They celebrate the messianic age: women dance and a Polish Jewish envoy reads a letter from Lwów (Lviv) in the style of reading the Talmud. They declare that everything forbidden is now permitted. Nathan Azati declares that Sabbatai will soon overthrow the sultan. Envoys read a letter from Spanish Jews in Amsterdam. Sabbatai declares that he has nothing to say to the assembled people; he once had divine favor but he lost it, he had his bride the Torah, but she was taken from him. He can no longer recall the word of God. Sore tells him that she took the commandment from him and gave him sin, took life from him and gave him death, and now Satan has gathered many souls for him. The people dance and sing with joy, as if they have lost their senses. Nehemiah Cohen, dressed as a dervish, declares that Sabbatai no longer speaks for God. Turkish soldiers approach in the distance. In the court of Sultan Mohammed IV. Hakim-Bashi Gvidam, the Sultan’s court physician and a Jewish convert to Islam, asks Sabbatai who he is and describes the miracles that occurred when the soldiers came to arrest him, until Sabbatai suddenly lost his strength like Samson after Delilah cut his hair. He implores Sabbatai to show his strength again, and says that if he does the Sultan will become his follower. Sabbatai addresses God and explains how he thinks God views sin and humanity. The Sultan arrives with his courtiers; they are all fearful. The Sultan asks Sabbatai who he is. At first he answers that he is the anointed one who has come to take the Sultan’s crown, but then loses his strength for the last time. He grovels before the Sultan and asks his mercy as a poor, unworthy Jew. Then he declares his adherence to Allah and converts to Islam. The Sultan decides to be merciful to him and to give him his most beautiful slave girl as his wife. Epilogue. In the mountains. An old Jew speaks of the Messiah, as a wild crowd runs after Sore. The old Jew asks them if they have seen the Messiah, but he does not understand their idea that man is God. The old Jew goes to Nehemiah Cohen, who is sitting with a trumpet and a jar of oil. The prophet tells him that for their sins the Messiah is still in chains. The Messiah will only come when the Jews tear the chains from him. The old Jew declares his faith that the Messiah will come. 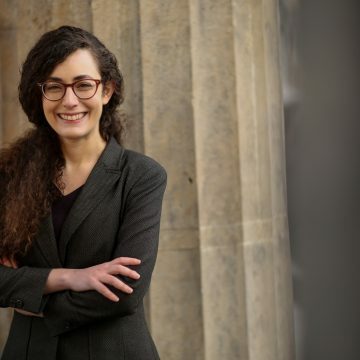 Sonia Gollance holds a Moritz Stern Postdoctoral Fellowship in Modern Jewish Studies at Lichtenberg-Kolleg (Georg-August-Universität Göttingen, Germany). First and third acts were performed in 1926 by the Vilna Troupe in Romania; the second and fourth acts came from Zshulavski’s play Der sof fun mosiakh (The end of messiah). This composite play was performed again in 1928 in Chicago and Riga, but Asch's play seems not to have been staged in its entirety.